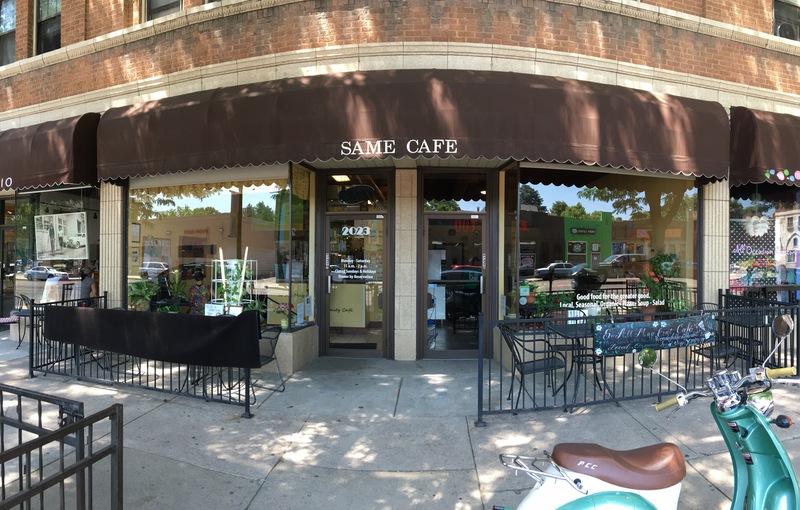 The SAME Cafe – ‘So All May Eat’ – is based on the simple principle that you can either pay with your money or your time. If you have money, then you can pay for your meal (as much or as little as you can, with a suggested donation of $5), if you have a larger amount of money you can pay for someone else to have a meal too, and if you have no money at all you can volunteer 30 minutes of your time in the cafe in return for your food. And my god, the food is good. 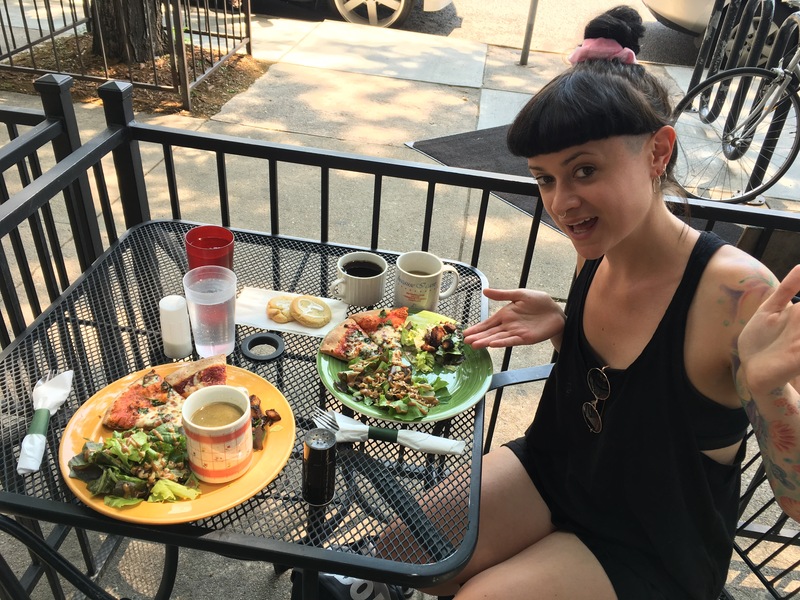 For four days Lilly and I turned up dutifully at the door of the cafe, ready to give our time in return for a delicious meal of two slices of incredible gluten free, whole wheat flour pizza (every day with different meat and vegetarian toppings), a choice of soup and a choice of salad. The soup and salad was all you can eat, and there was even a lemon cookie to end on. OH, and bottomless coffee, water and ice tea. INCREDIBLE. We stayed each day far longer than just the 30 minutes, for no other reason than the fact it was an absolute pleasure to work with owners Libby and Brad on what was clearly a much loved project. 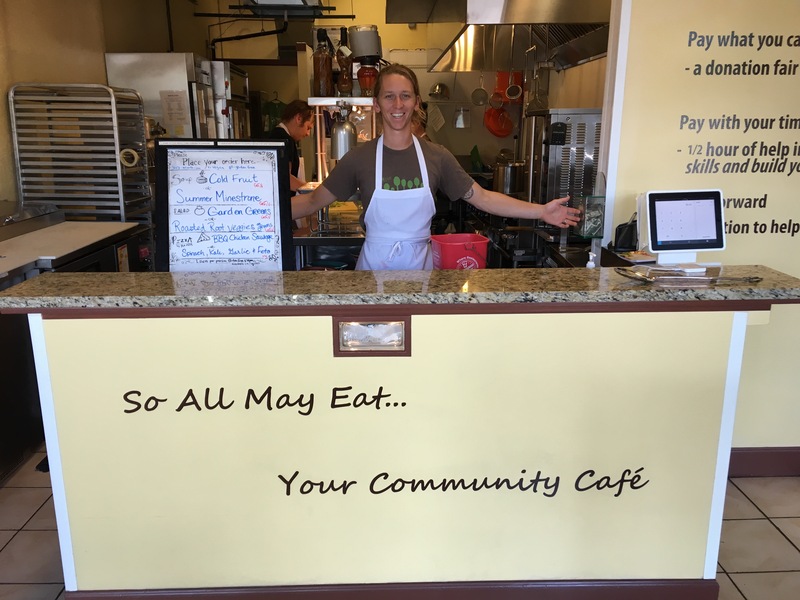 For 10 years the SAME cafe has been open for 6 days a week, offering not just meals to those who need them but healthy, delicious meals given in a happy, safe, vibrant cafe in the heart of Denver. Lilly and I sat out on the patio in the sunshine to eat our meals and felt like we could have been sitting in an expensive restaurant on holiday. 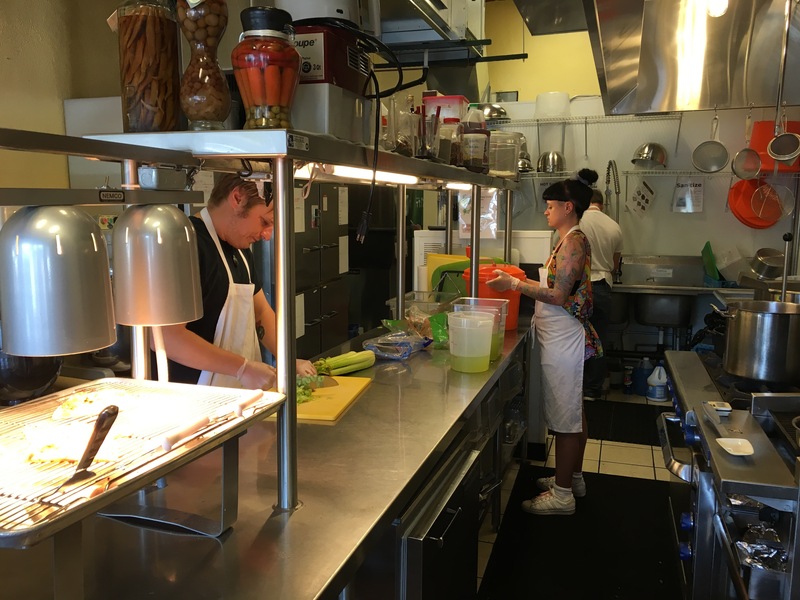 For 10 years, vulnerable people in Denver have had somewhere to go, safe in the knowledge that they can receive a good meal in a clean place. 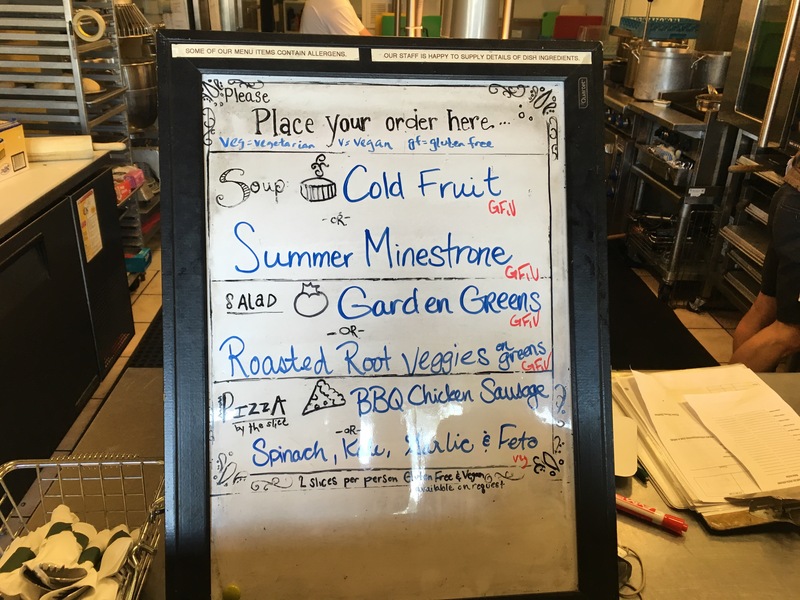 Importantly, vulnerable people in Denver can receive this good meal in a cafe that doesn’t make them feel outside, or different, or shamed – there are other people there enjoying meals in just the same way, regardless of ability to pay. In our short time working in the cafe we saw people from all walks of life – schools, families with their children, young people, old people, homeless people, affluent looking people… And we learned so much from Libby and Brad about what it takes to run the place. Let’s just say they put in a LOT of time and love to keep the place ticking! 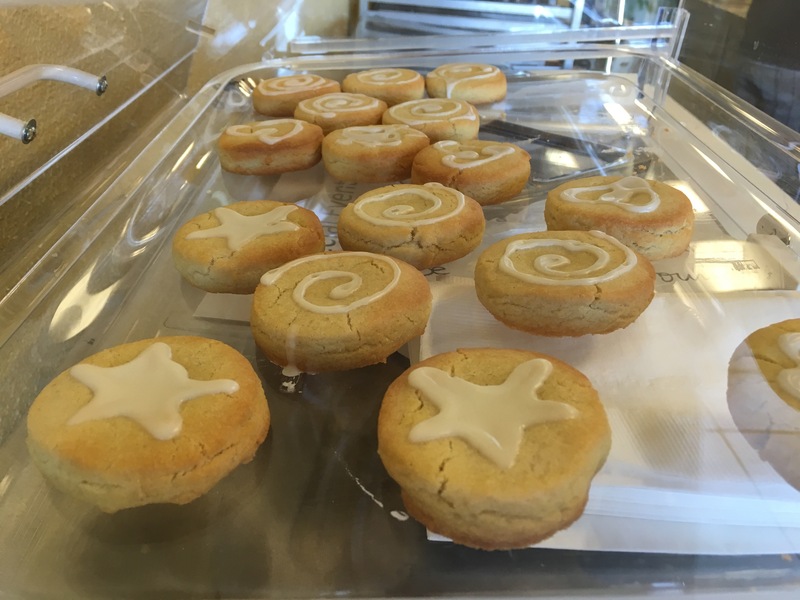 The SAME cafe is a thriving business but ultimately it takes a lot to make ends meet. If you’d like to donate to the project (and to Libby and Brad having a day off once in a while!) you can click here.